Voicemail greetings can be an incredible conversion technique for your business phone. However, they can be trickier than you’d think. Thus, we’ve compiled a guide to set up the right voicemail greetings to impress your customers and prospects. Would you welcome customers or prospects in an empty office, with no logo and no one to answer questions or to guide visitors to the right person? I guess not. Just like you personalize your visitor’s experience in your brick-and-mortar office, you want to own your caller’s experience. Getting one’s phone and calling someone, let alone a company, isn’t trivial. Your caller must have a very good reason to reach out to you. The least you can do is make them feel welcome and attended to. After all, we all know the rule: it only takes 7 seconds for someone to make an opinion on you. You don’t want to waste those 7 seconds by discouraging your caller with a generic and impersonal voice message. Your voicemail greeting is the first impression your caller will get of your company. You want to set the tone and convey the proper image – your own image. Are you more of a serious or fun type? Do you want to convey an image of dynamism and excitement or do you want to look measured and reassure your customers? Next, you want to pick a voice. Choosing a male or female voice can be a tricky question. Beyond gender clichés, you really want to choose a voice that reflects your industry and brand. Let’s talk goals for a second. When a caller hits your voicemail greetings, what’s the next step you want to lead him or her to? 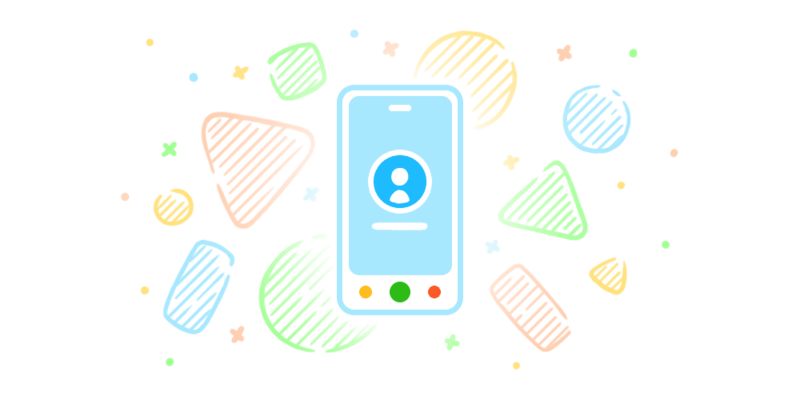 For your general greetings with an Interactive Voice Response or announcing a wait, you probably want your caller to stay on hold until someone is available to answer. Otherwise, you most certainly want your caller to leave a message for you to call them back. With this in mind, your voicemail greeting is all you have to engage with your callers and encourage them to wait or leave a message. Who knows who’s calling? You might be missing out on your next big client. Now that you’re convinced, keep on reading to learn how to create the best voicemail greetings for your company. Your caller’s attention span is quite small and the timeframe he or she can dedicate to you very limited. Don’t waste their time, make sure you keep your message short and simple. 20 to 25 seconds are more than enough to say all you need to say in a voicemail greeting. Choose a voice that reflects your company’s culture, and make him or her speak distinctly. He or she needs to be both welcoming and firm. Also, don’t forget to smile while recording the message, it will come out more authentic. Here’s our secret sauce to recording an attractive voicemail: try to inject a little humanity and humor to differentiate yourself and make your voicemail greetings memorable. But don’t go too far with humor: you don’t want to leave your caller puzzled or discouraged. Hello, thank you for calling Aircall, we make phone support insanely easy. If you’re interested in joining the exclusive circle of our customers and want some information, please press 1. If you’re a current customer and you need some help from our customer success heroes, please press 2. For all other reasons, stay on the line and I’ll answer you in a few seconds. Thank you! Thank you for calling Aircall, the virtual phone system. We are currently busy, but we’re doing all we can to get your call as fast as possible – it won’t take more than 10 minutes I swear. If you are in a rush, please press the star key and leave your name, phone number and your reason for calling. I will personally make sure we call you back within an hour. Thank you! Thank you for calling Aircall, the collaborative phone support system. Although we’d love to hear what you’d like to say, we need some rest to keep building the best tool for you. Please reveal your identity, phone number and your reason for calling, I will personally make sure the right person calls you back on the next business day. Or if you’re shy, you can call us back Monday to Friday from 8 am to 7 pm CET or send us an email at contact@aircall.io – your call. Thank you! Read more scripts for your voicemail greetings here. Last tip: With Aircall, if you don’t want to record your own voice, write down your message and we will vocalize it for you. Are your ready to set up your own professional business greetings? If your don’t have a business line yet, discover why having a phone number is a simple and powerful startup growth hack.